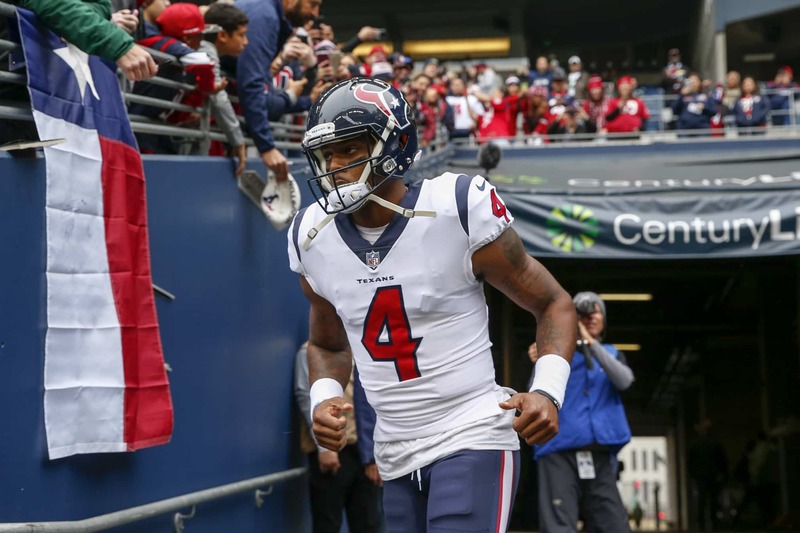 After dominating the NFL as a rookie before tearing his ACL, Houston Texans quarterback Deshaun Watson is now healthy and back to decimating NFL defenses while setting NFL records. Sitting at 1,621 passing yards and 201 rushing yards on the season, Watson became the first player in NFL history to throw for 1,500-plus yards and rush for 200-plus yards in the first five games of a season. This isn’t a new deal for Watson, if you remember. He set multiple rookie records in 2017. The 23-year-old did show some rust in his return at the start of the year and struggled out of the gate. He has turned it around since with 300-plus passing yards in each of his past four games. Additionally, Watson is averaging 40 rushing yards per game this season. Despite playing behind one of the worst offensive lines in the NFL, Watson continues to make it work. As Will Fuller gets healthy, he’ll have an excellent trio of receivers with DeAndre Hopkins, Keke Coutee and Will Fuller to work with. Following a slow start to the year by Houston, the team has now won two consecutive games and will look to continue that streak in Week 6 against the Buffalo Bills.